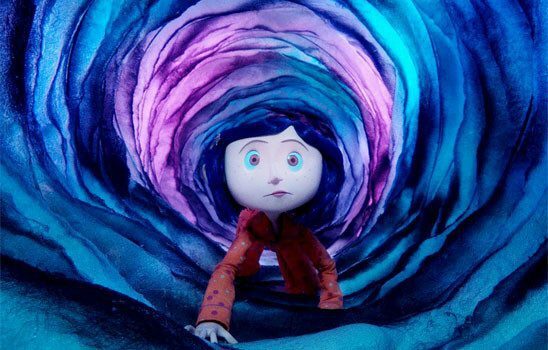 Bored and discontent, Coraline opens a small hidden door and travels to another realm. With emotional drive comes the character depth your audience will love. And because emotions can result in many different choices, these inner forces are incredibly flexible. They can form the backbone for your entire story, provide a character arc, or simply add another dimension to the plot and characters you already have. They can provide motivation for your hero – or for your villain. To get you started, here’s six common emotional needs. 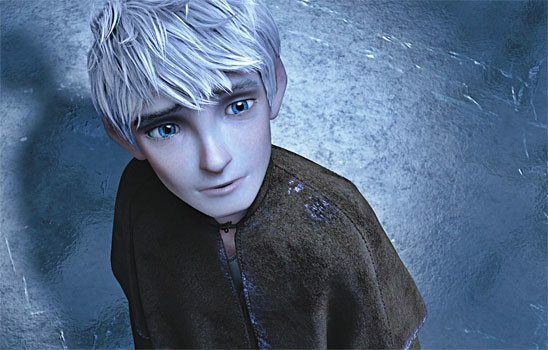 In Rise of the Guardians, Jack Frost wonders who he is and why the Man in the Moon brought him to life. Perhaps your character is insecure, like, I don’t know… just about everyone. Or worse, she might secretly loathe herself. Maybe she doesn’t feel like she knows herself, and she wants to discover who she is. But of course, she’s not hoping to discover that she’s a soul-sucking lice demon. She’s needs to feel like she’s worth something. Her backstory could include a bunch of jerks that made her feel less than human. Or she could be the only child in her family without superpowers. She might have been proud before she did something terrible, and now she needs to redeem herself. Your character might try to fulfill her need for self-worth by pulling the wool over everyone’s eyes. She could exaggerate her accomplishments or boast about how wonderful she is. When criticized, even in a friendly manner, she could get incredibly defensive. Somewhere inside, she knows if she acknowledged the person she really is, she wouldn’t be able to go on. In Buffy the Vampire Slayer, Faith’s downfall begins when she accidentally kills a human. The look on her face when she realizes what she’s done shows how sorry she is. But shortly after, she tries to pin the crime on Buffy while denying that she did anything wrong – or even that she feels bad about it. In season four, she steals Buffy’s body and discovers how good it feels to be a hero. Your character might take it upon herself to become someone she will be proud of. Humbled, she could begin listening to others and learning from them. She might go out of her way to help other people, wishing to contribute to the common good. In Avatar: The Last Airbender, Sokka is the only member of the adventuring party who isn’t a Bender. He wants to be useful and capable, but he has to admit his failings before he’s ready to learn. Lucky for him, the Kyoshi warriors give him a lesson in humility. As the series progresses, he works to become a great strategist and master swordsman. A justification motive works especially well for a character you’d like to transition from a villain to a hero or from rags to riches. They may not be great heroes when they enter the story, but they want to be. 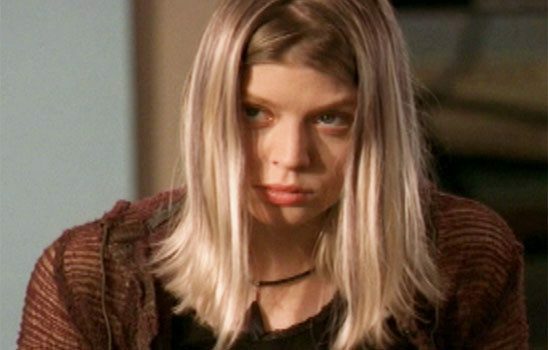 When Tara first appears on Buffy the Vampire Slayer, she is painfully shy. Your character has a deep aversion to awkward, embarrassing, or otherwise uncomfortable social situations. Whenever he’s around other people, his primary concern is to make sure everyone is happy. He’ll do anything to avoid confronting someone. This might just be part of his personality. Or it could be a result of cultural training. His parents might have taught him that a good person is someone who is pleasant and doesn’t make waves. Alternatively, in his past he could have faced continuous aggression in a context where he was completely powerless to fight back. He learned to cope by hiding from any kind of fight, and even now he behaves as though he’s helpless. Your character might let a bad problem become dire because of his refusal to acknowledge it. Once the problem is so bad he can’t pretend it isn’t there, he’s likely to run from it instead of solving it. He might also end up over-committing himself because he can’t say no to anything anyone asks of him. Unwilling to communicate about problems, he could bottle up his negative feelings until he lashes out in passive-aggressive ways. In Frozen, Elsa was taught by her parents that the only way to keep from harming others was to isolate herself. She spends years locked away, trying to keep anyone from discovering her powers. Instead of learning to work with her abilities, she suppresses them. When her powers come out at a large event, she runs away without giving her subjects a chance to accept her. Your character could be the person that everyone loves. He could be very conciliatory, helping others come to an agreement and maintaining peace in his social group. He might take a few moments to engage with every individual, ensuring their needs are met. Conflict avoidance is underutilized as a character trait. It’s easy to get a character who won’t say no into unpleasant situations, and the problems he encounters will be difficult for him to solve without ruffling feathers. Besides, who doesn’t like a reluctant hero? 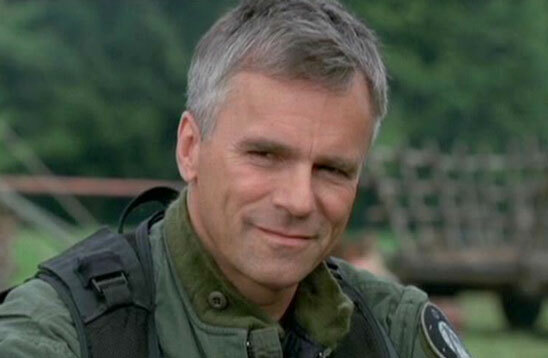 In Stargate SG1, O’Neill judges every new discovery by how it might endanger people. Regardless of whether she’s really being threatened, your character feels threatened. She worries about her own safety and the safety of the ones she loves. She might think that people will take advantage of her, or maybe she just knows that life in the post-apocalyptic hellscape dungeon is rife with peril. Either way, she needs to feel that she or those she cares for are safe. Her background probably involves continuous abuse or hardship. Someone with power over her might have physically or emotionally hurt her day after day. Or maybe she endured as her possessions dwindled and her loved ones fell prey to sickness, starvation, and violence. That’s why she’s hyper-vigilant, always watching for threats in her surroundings. Your character could overreact to signs of trouble. She might interpret others as aggressors and herself as their victim, even when it’s not true. In an effort to protect herself, she could be demanding and even violent. Inside, she still feels small and powerless. She doesn’t realize that others find her frightening. In Lord of the Rings, Boromir is desperate to save the people of Gondor from the armies of Mordor. He feels it’s unfair that the council of Elrond won’t give him the One Ring, and he is suspicious of Galadriel and others like her. The One Ring takes advantage of his suspicious nature and desire to protect Gondor, making him even more paranoid and demanding. Your character could be incredibly loyal to those she loves or anyone who is helpless and in need of protection. She might become a champion of the weak and sacrifice her own safety for the benefit of others. In The Hunger Games trilogy, Katniss puts the safety of the ones she loves above anything else. Lifelong struggle and neglect by her mother taught her that the world is dangerous. Besides herself, her friend Gale is the only person she trusts to protect her mother and sister. She volunteers for the Hunger Games to keep her sister safe and becomes a figurehead for the rebellion largely to free Peeta from the Capitol of Panem. Threat-focused characters work great for settings that have possible danger coming from all directions. Gray morality and chaotic factions will challenge a protector to distinguish friend from foe. That will maximize her internal conflict and give you more opportunities to develop her as a character. 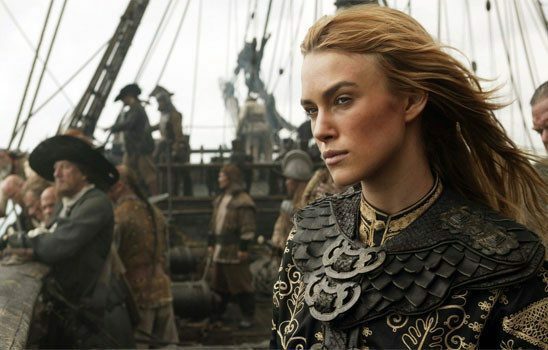 In Pirates of the Caribbean, Elizabeth prefers piracy over a pampered life. Your character is apathetic or disillusioned about his life. Maybe he suffers from depression. He could be bitter, numb, or bored. Regardless, his life seems pointless, and he needs to feel that it’s worthwhile. He wants to feel joy, excitement… or something. Maybe he’s going through a midlife crisis, or he’s young and restless. Alternatively, he could have fought in a long, bloody war and returned home feeling that life is one unhappy event after another, until the end arrives. Your character could be incredibly reckless. As day to day life doesn’t allow him to feel what he wants to feel, he might put himself in danger in order to get his adrenaline pumping. Trying for something fun and different, he might pull pranks or push people’s buttons, unintentionally hurting them. If he’s emotionally numb, he might not care when others tell him he’s out of line. In his effort to feel, he could become dependent on dangerous substances. Jack from The Nightmare Before Christmas is bored with life in Halloween Town. So he decides to adopt Christmas, kidnapping Santa Claus in order to replace him. He is so captivated by the novelty of Christmas that he empowers the most unsavory characters in Halloween Town and ignores warnings that his Christmas plans are headed for disaster. Sometimes risks are beneficial. Your character might try things that others wouldn’t. If he’s disillusioned or numb, he might also be less affected by the consequences of those risks. When facing danger, his calm head could guide himself and others to safety. When the situation isn’t serious, he might be a source of fun and entertainment. Shilo from Repo! The Genetic Opera is a teenager who is kept inside because of a blood disease. Tired of being cooped up, she starts venturing out at night, against the wishes of her father. She almost gets in a lot of trouble, so at first her actions seem very unwise. But later, she discovers her father invented the blood disease to control her, and risk-taking was the key to her liberation. Characters with this motive are enthusiastic adventurers. If you’re looking for a reason for a character to leave the safety of home and head into danger, you’ve found one. That’s what makes this motive so common in popular stories. Your character is tormented by fear or guilt over things she can’t control, such as impending death or continual violence. It’s the reality of her life, but it’s still deeply unfair. She needs to find a way out. Perhaps her skills in battle are the only thing between her village and complete destruction, and so she fights every day even though she’s filled with remorse. Maybe she can only live if others die for her, or she’s been told she has only a few years before she dies of an illness. The inevitable is closing around her. Your character’s desperation to evade fate could overwhelm her better judgement. She might simply refuse to do what has to be done, leaving others to suffer for her mistakes. She might decide that defying death is worth hurting others or resolve to save the one she loves even if the whole world burns for it. In Disney’s Tangled, Mother Gothel is a devious woman who learns that she can stay young by singing to a magic flower. But after many years, the king takes the flower and feeds it to his sick and pregnant wife. While the flower is gone, the young princess now holds its essence. Dependent on the flower’s sustaining power, Gothel delays death further by kidnapping the princess and keeping her locked up in a tower. Your character’s determination could inspire everyone else to keep fighting against difficult odds, leading to an unlikely victory. She might also be a shining example of caution and restraint. The threat of violence or death is real to her, not just a vague worry, and so she holds herself and others to a high standard of safety. But for the sake of the ones she loves, she may eventually choose to accept and embrace the inevitable. In The Butterfly Effect, Evan discovers he can take over the mind of his younger self for a few moments, changing previous actions and therefore the course of history. Determined to save a childhood friend he lost to drugs and prostitution, he goes back in time but returns to find that someone else got hurt instead. He continues to leap into his past to save his loved ones, even though the process is clearly hurting him. This motive is a good choice for characters that sacrifice their lives at the end of the story. It allows storytellers to highlight the emotions that come with facing death. Otherwise, this setup will give your emo character plenty of angst. Your character is isolated and lonely. He has no meaningful connections to other people, and he desperately needs them. He needs a background that explains why building relationships is so difficult for him. Perhaps he’s a hideous monster, he has trouble communicating because of a disability, or he lacks manners after being raised by wolves. He wants to overcome this barrier but he’s struggling. Desperate for companionship but lacking the patience or skills to build a relationship, your character could foist himself on other people. He might think he can order people to be his friends, or he might just stick around where he isn’t wanted. Alternately, he could be an easy target for someone who claims to be his friend but is really taking advantage of him. Emily, the titular character in The Corpse Bride, died at the hands of a man who claimed to love her. Eager for affection even after death, she hears Victor practicing his marriage vows near where her body lies and thinks he genuinely means to wed her. She still doesn’t take the hint when he runs away in terror or even after he tries to ditch her. Your character could be incredibly supportive and devoted to those who are nice to him. He could be grateful just because someone allows him to help them, even when that person has been unkind. He never takes friendships for granted. In Zombieland, Columbus is a fearful and awkward loner who really wants to find that special someone – even though he lives in a post-apocalyptic wasteland with few people remaining. When he meets Wichita, he decides he really likes her. She’s a con artist who steals his gun and his vehicle, but his persistent friendliness allows a truce to form between them. Though this probably goes without saying, the companionship motive will easily support a romantic plot or subplot. If it feels too cliche, you can make it fresher by focusing on a relationship that doesn’t fit the standard romantic pairing. 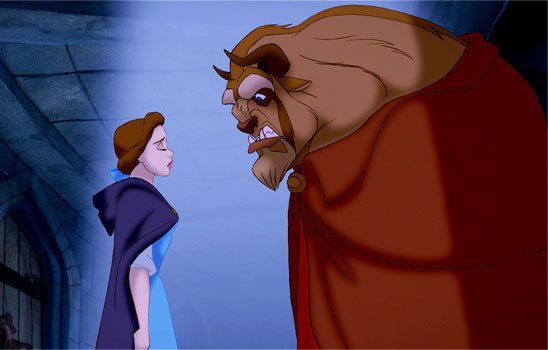 Do the major characters in your story have emotional motives? If you’re not sure, think about what they might be. Then ask yourself how these motives change their response to different events in your story, or inspire them to take action. Your story will be better for it. Though of course he doesn’t take it. How do you feel about characters whose motivation is, “Damnit I’m just trying to get by and live my life…” E.g. Arthur Dent from Hitchhikers Guide to the Galaxy, Adam Young from Good Omens, or Rincewind from The Colour of Magick and The Light Fantastick? Characters that are thrown into events, who still have agency that effects the events, but doesn’t have one of these emotional motives? Are these viable for a good character? Enough to create a plot/sub-plot? What about characters just trying to get home, e.g. Dorothy Gale? What about characters whose motivation is simply self-interest and personal gain? I’m not super familiar with the others (been a while since I read Hitchhiker’s Guide), but I’d Rincewind fits nicely into “Escape from the Inevitable.” In this case it’s a literal escape. Rincewind’s extreme desire to live motivates him to run away from anything threatening. “I want to get back to my life,” or “I want all the gold” are motivations that can push a character through a story, but stated like that, they aren’t emotional. Those are goals based on their external surroundings, not on how they feel inside. I would encourage anyone using those to dig a little for the feelings behind the character’s desire to go home, get treasure, etc. For instance, the “protect from threats” motivation is driven by an overwhelming feeling of being threatened that the character is trying to cop with. That feeling of threat could motivate someone to want to go home where it’s safe, or to get gold they could use to protect themselves. In short, why does the character just want to go home? If I where to guess about a couple of those characters, I’d say Arthur Dent is afraid of risk and conflict. Dorothy is probably driven by loneliness and guilt. She wanted to be elsewhere, but once she was she realized she took her home for granted. Arthur Dent is the perfect embodiment of being conflict adverse. What do you do when someone tries to knock down your house? Well, you just- lie there. Just lay there, and they can’t do it. I think that Adam takes a side to Crawley and Aziraphael in Good Omens. 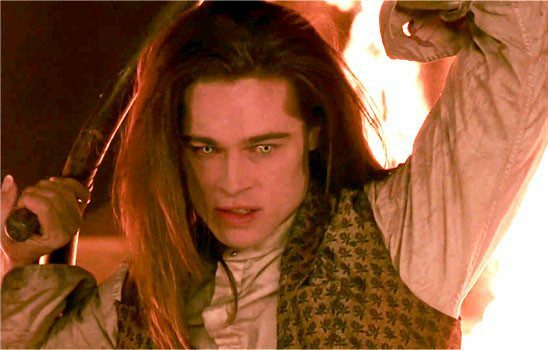 Even though he is supposed to be the Antichrist, he grows up fully human and it shows in the end – he doesn’t want heaven or hell to win, he wants humans to continue being human, because there’s so much he hasn’t seen yet. And, in the end, he does have the power to make it so and he uses it. The ones who try to satisfy their sides while not really letting any side win, are the demon and the angel who try to keep influence on the supposed Antichrist, who is a normal human, balanced. They are the ones who drive the plot, Adam is more of a Deus Ex Machina who has free will simply because he was raised as a regular human. Little off topic: I’m looking forward to the Good Omens series which Amazon Prime is working on. David Tennant as Crawley is a great casting choice. I love Good Omens – it’s one of my favorite books of all time! I wasn’t aware that they were making a series out of it. I’ll have to check that out! Adam’s arc is one of the most interesting I’ve come across. Here is a character with the powers to shape reality to his whim, the power to change it as he sees fit, and the odds stacked in favor of his dark side. Usually character arcs are about either character improvement or (in darker stories) character descent, but Adam’s is neither. It takes skill to execute that, not to mention to write a book that’s funny, insightful, deep, and clever all at once (and talk about an authorial dream team! ).